This is one my favorite things to serve and is perfect for entertaining friends and family. The sauce in this dish is everything. It gives the eggplant that beautifully rich tomato taste. It is great to eat on its own but I also love it as an inclusion on a mixed antipasto platter. Bellissimo! 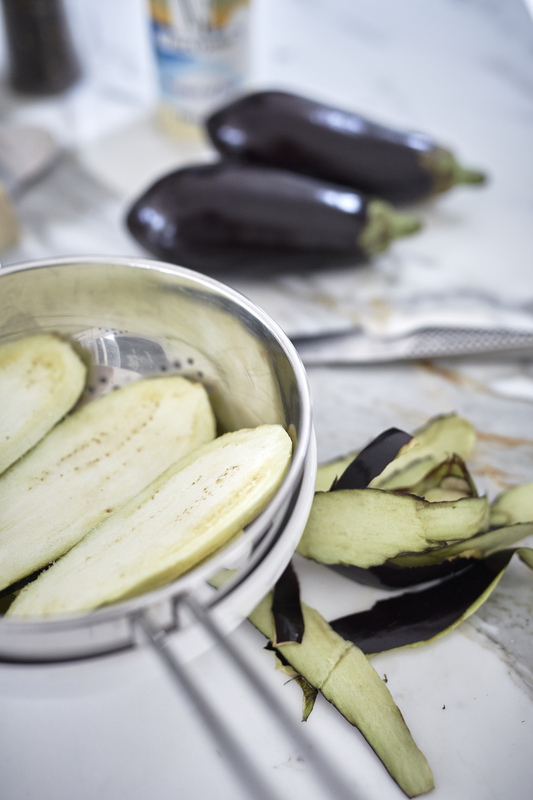 Cut the eggplant lengthwise into ½ inch slices. Lay the slices of eggplant on top of each other, salting well between each layer. Cover with a plate and place a heavy weight, such as a pot or a can of food, on the top. Leave to sweat. Heat oil in a frying pan over medium heat, add the Eggplant and lightly fry till golden. Place cooked eggplant on a flat dish and dress the top with tomatoes and cheese. Garnish with fresh basil to serve.